We’ve been swept off our feet and transported to the beautiful Parisian countryside by this stunning furniture collection, designed for creating classic children’s bedrooms. Lavender Hill Interiors is where beautiful things congregate, and we’re over the moon that these French-inspired children’s collections are now part of the fold. Exclusive to Lavender Hill are these elegant girls’ and boys’ bedroom ranges. They’ll transform any child’s space into something truly mesmerising, that will stand the test of time. These ranges suit toddlers through to teens – with just a simple change of bedding or decor. What I love about these collections, besides the amazing detail and style, is the price! Sold as entire bedroom collections, they are incredibly affordable, and can be accented by additional pieces. 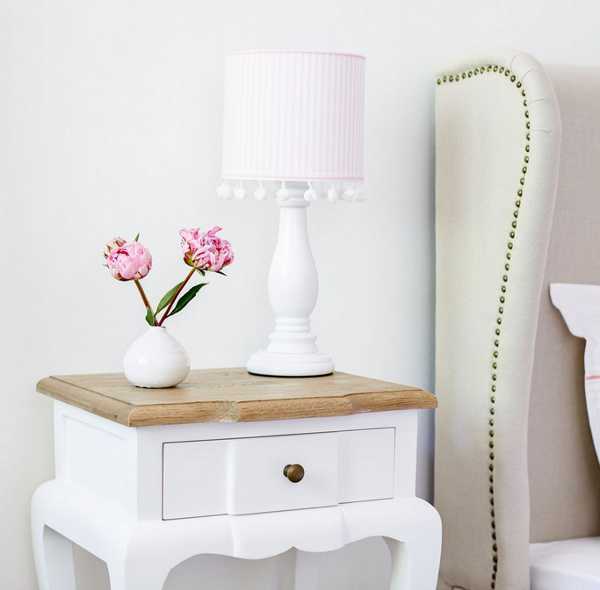 The jewel in the girls’ collection crown is undoubtedly the French Provincial linen upholstered bed (pictured at the top of the post). It’s regal, feminine and simply beautiful. The standard girls’ bedroom package costs $1800 and includes a single upholstered linen bed, bedside table, single sheet set, single quilt cover with two pillow cases, bedspread, two bed cushions and a lamp – amazing value for money. All items can also be purchased separately. The bed can be upgraded to a king single bed, sheet set and doona cover for an additional $135. 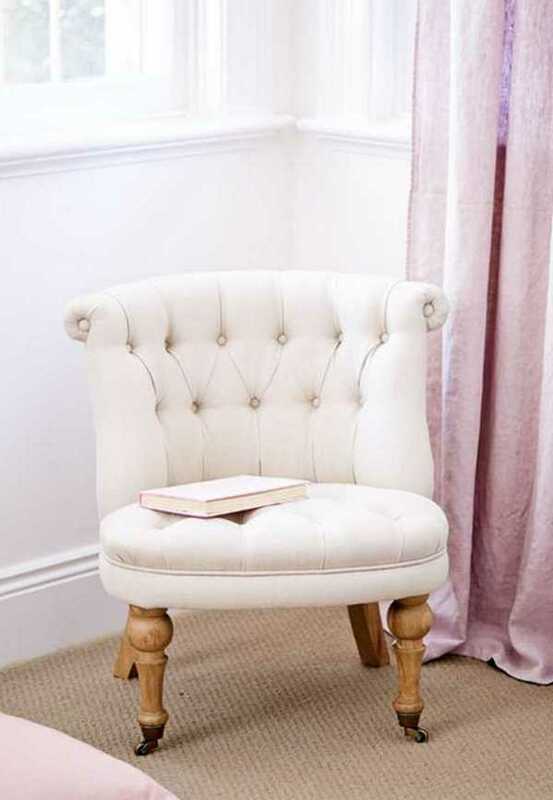 The collection can be extended to include the linen buttoned armchair and cushion for an additional $465. 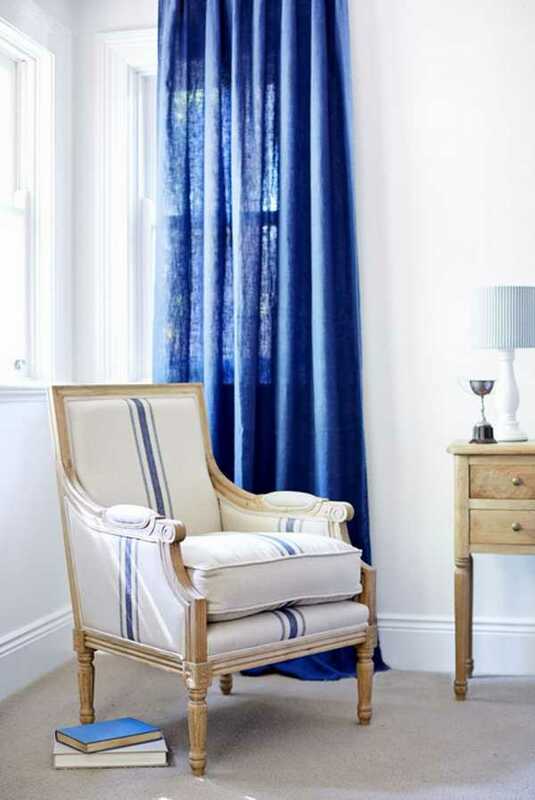 The linen curtains, butterfly pictures, toy mouse and small vase can also be purchased separately from Lavender Hill Interiors. 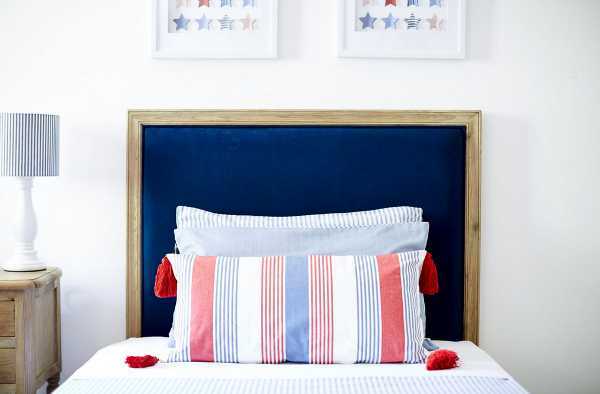 The boys’ collection is very handsome, punctuated by the linen and oak bedhead. Beautiful royal blue accents are used right through the collection, which includes the single linen and oak bedhead, single linen valance, bedside table, single sheet set, single quilt cover and two pillowcases, bedspread, two bed cushions, lamp and rattan trunk for $1640. Again, all pieces can be purchased separately. This collection can be upgraded to king single for an extra $90. The addition of the striped armchair and cushion costs $700. 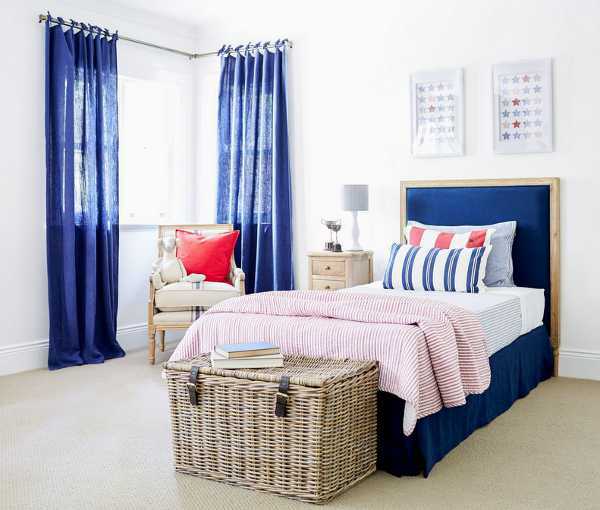 If you’re looking to fit out a child’s bedroom, Lavender Hill Interiors is pretty much a one stop shop, thanks to these beautiful new collections. Delivery is available Australia-wide.